Ride our 14 day motorcycle tour of the UK and Ireland to explore some of the best biking roads in England, Wales and Ireland. Tour Duration: 14 days / 13 nights. Start with a visit to Stonehenge, Salisbury Cathedral, the Regency splendour of Bath and a ride up through Wales and ‘alpine’ Snowdonia. 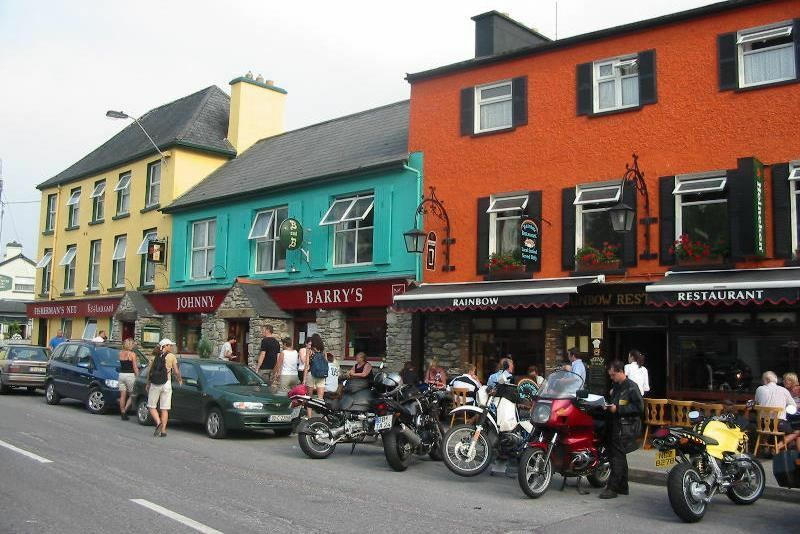 Spend 7 days in Ireland exploring roads voted the best in the Country by Irish bikers themselves. See the Giants Causeway, the excellent Titanic Museum and ride the world renowned ‘Ring of Kerry’. Experience hospitality as only the Irish can deliver it and see some of the most beautiful countryside on these Islands. When you cross back over to the UK you will ride the world famous ‘Cat and Fiddle’ road, experience the Peak District National Park and then visit the National Motorcycle Museum with its huge collection of British motorcycles, before riding the old Roman Road that is the Fosse Way. 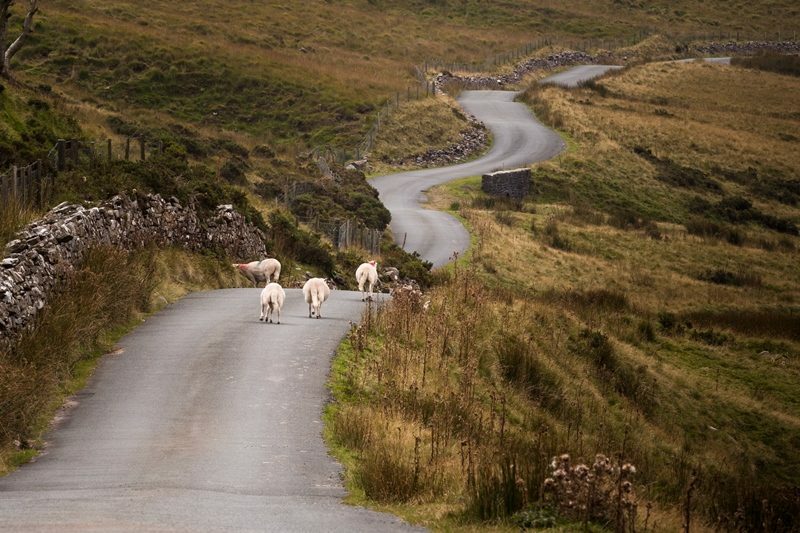 This tour takes in some of the best roads in Wales, Ireland and southern England, together with the most famous sights along the way. To make your tour even more memorable, Magellan has hand-picked hotels and Inns which have luxurious charm and architectural character so you can relax and enjoy great British and Irish hospitality at the end of every day’s ride. • See the National Showcaves in Wales and ride the Brecon Beacons mountain road and then ‘Alpine Snowdonia’. • Ride routes selected from the roads voted ‘the best biking roads in Ireland’ by Irish Bikers. 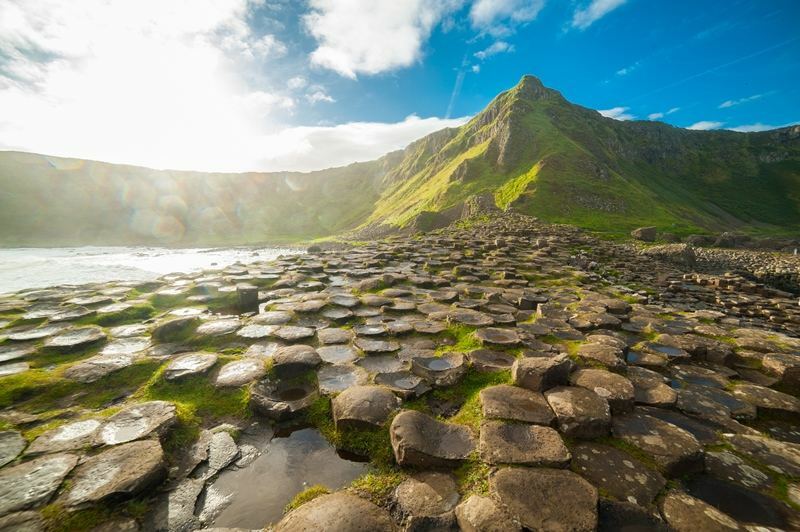 • Visit the Giants Causeway, the Titanic Museum, and Limerick, Belfast, Dublin and Donegal. 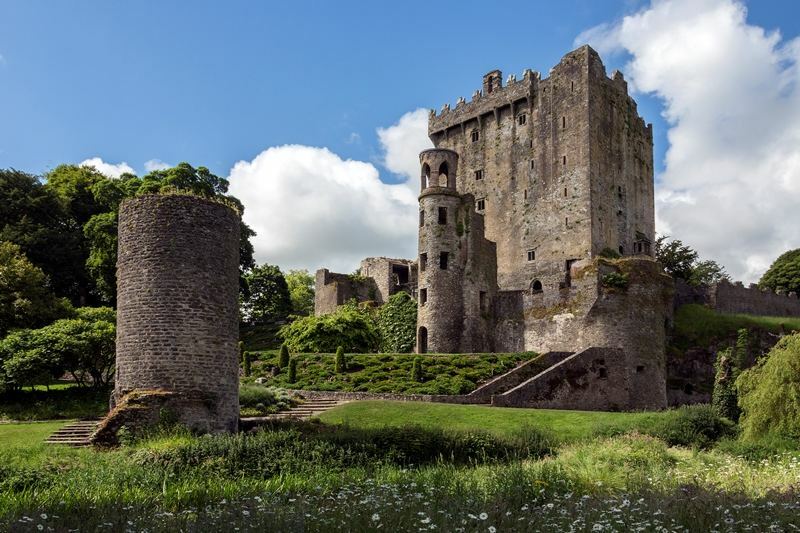 • Ride the world-famous Ring of Kerry, and then Visit Blarney Castle and kiss the Blarney Stone. • Take a Bushmills whiskey distillery tour and a waterbus tour of Donegal bay. • Ride the famous Peak District ‘Cat and Fiddle’ road and the Roman Fosse Way. 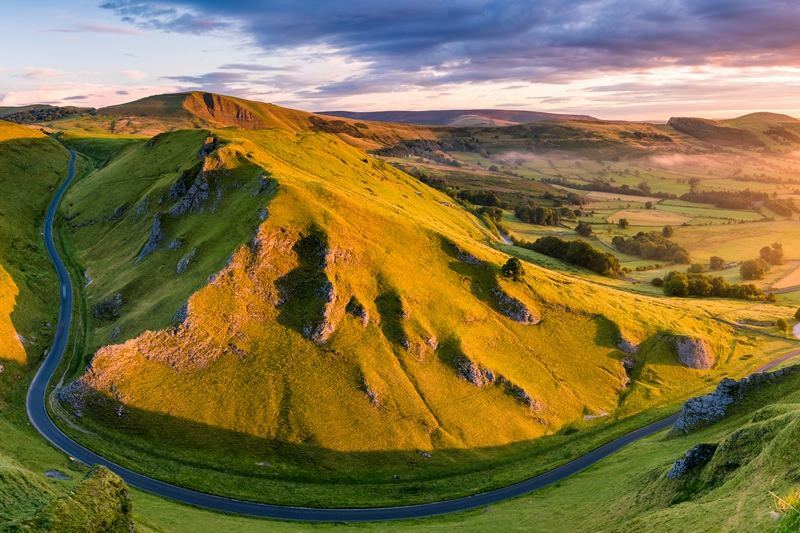 • Explore the Peak District National Park. • Visit the National Motorcycle Museum. Day 1: 146 miles. After collecting your bike from RoadTrip, ride through the South Downs National Park and along the legendary A272. Ride through the New Forest to the magnificent mediaeval cathedral in Salisbury and on to visit Stonehenge. Day 2: 220 miles. 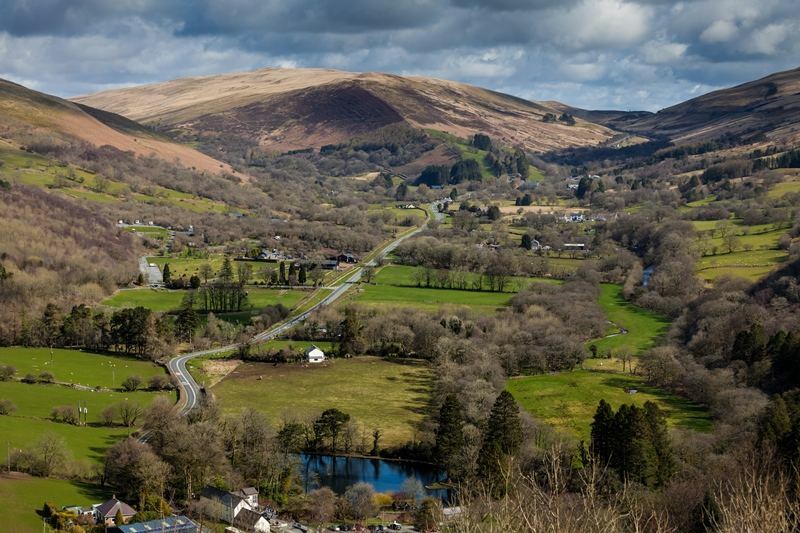 Crossing into Wales on the iconic Prince of Wales bridge you then ride the amazing mountain road over the Brecon Beacons. Heading north through South Wales you ride through ‘Alpine Snowdonia’ and then on to Conway on the north coast. Day 3: 170 miles. Ride the scenic Lleyn peninsular and then on to take the Ffestiniog steam railway to the old slate mines at Blaenau Ffestiniog. After lunch, on to Liverpool for the overnight ferry to Ireland. Ferry crossing includes cabin and dinner. The ferry check-in opens 19:00. Ferry departs at 21:00, arrives at 06:00 in Dublin. Day 4: 165 miles. 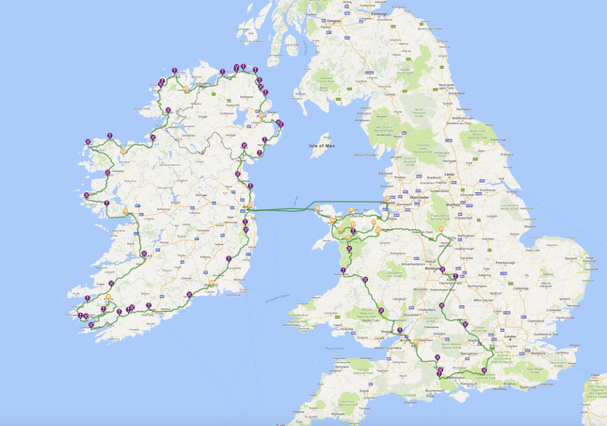 Dublin to Belfast; today you ride up the east coast of Ireland and visit Kirkistown motor racing circuit, home of the Kirkistown 500, and Strangford Lough. Day 5: Day off the bike to explore Belfast. 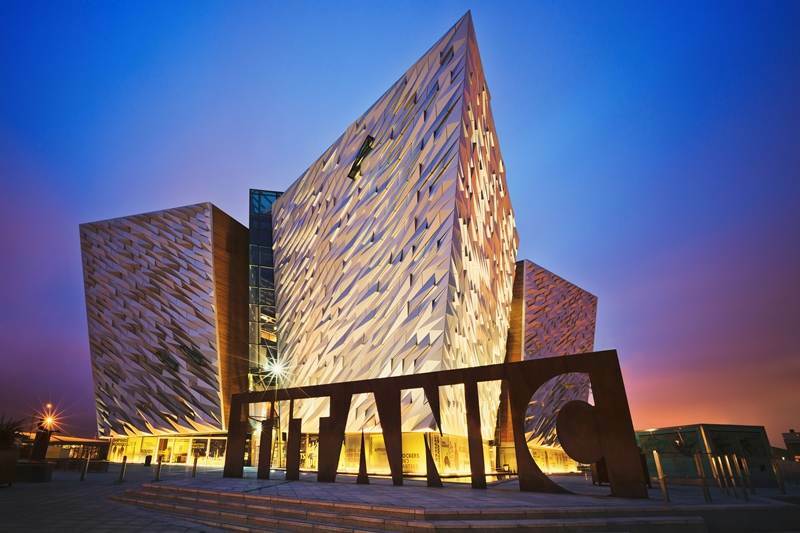 Visit the amazing Titanic Museum on the site that the gigantic ship was built, take a Segway tour, visit Queen’s University, the Botanic Gardens and the vibrant Cathedral quarter. An opportunity to soak up Irish history and culture before exploring this beautiful island. Day 6: 144 miles. Scenic coastal riding today, a haunted house, the Giants Causeway and the oldest whiskey distillery in Ireland are all on the route. Day 7: 165 miles. A fantastic day riding the scenic route down the west coast on some of the roads voted as the best in Ireland by Irish bikers themselves. A waterbus tour of Donegal Bay at lunchtime and great views are todays treats. Day 8: 195 miles. 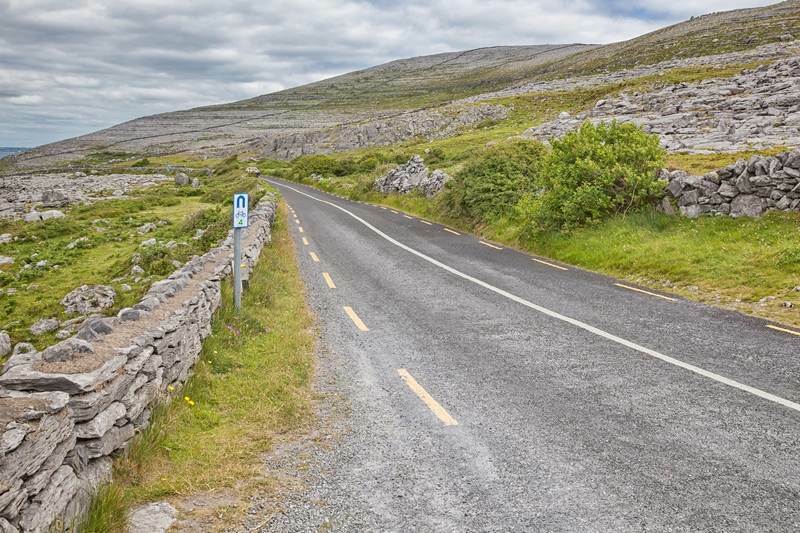 National Parks and prehistoric peat bogs galore as once again you follow some of the best biking roads in Ireland and continue down the west coast. Day 9: 224 miles. Visit Limerick and the beautiful Crag caves, before riding the internationally famous World Heritage route ‘The Ring of Kerry’. Day 10: 216 miles. Ride around Kenmare Bay and then on past ancient peat bogs to reach Blarney Castle and kiss the famous Blarney Stone, then on to Waterford, the home of Waterford Crystal. Day 11: 109 miles. Visit a Celtic craft centre, an ancient monastery and then ride through the Wicklow Mountains on the route back to the ferry in Dublin. (ferry to Holyhead leaves at 15:10 and gets in at 18:40). Day 12: 180 miles. On the island of Anglesey visit the village with the longest name in Europe and then cross over to the mainland and ride the world renowned ‘Cat and Fiddle’ road into the Peak District National Park. Day 13: Day off the bike to explore the Peak District National Park, visit the Heights of Abraham by cable car, Chatsworth House, the Blue John caverns or Alton Towers theme park with its nine roller coasters. Day 14: 186miles. Heading south again, you visit the renowned National Motorcycle Museum to see hundreds of classic British bikes and then ride the amazing Roman road the Fosse Way on the way back to RoadTrip. Approximate tour distance: 2100 miles / 3360km. Motorcycle rental including luggage with liner bags, detachable tank bag, satnav (GPS) loaded with your routes, third-party insurance and roadside assistance. VE103 documentation (for any tour that leaves the United Kingdom). Ferry tickets for those tours that require them. Full personalised tour pack, route plans, ride out routes, GPS co-ordinates and GPS routes. High-end, classic and traditional hotels or inns with character, including breakfast. Airport transfers from Heathrow or Gatwick to and from RoadTrip. Any additional items charged to your room(s). All other food and beverages. Prices include VAT where applicable. If you would like more information about this tour then please contact us using the form below or telephone us on +44 (0)1483 662 135.